Happy Wedding Cake Wednesday! 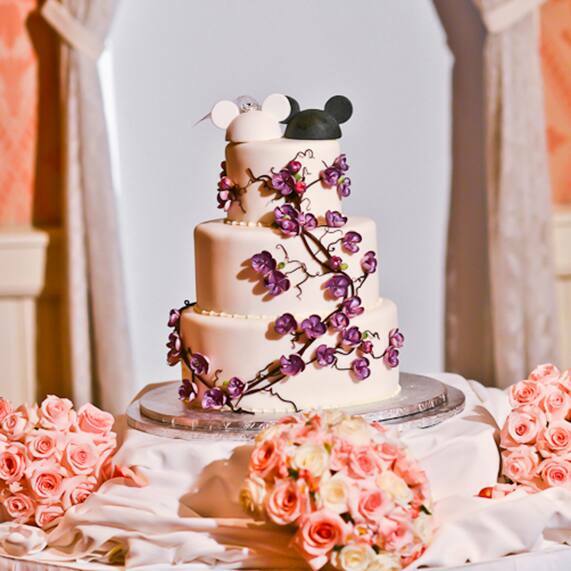 Today's classic three tier features elegant sugar floral with a touch of Disney whimsy. 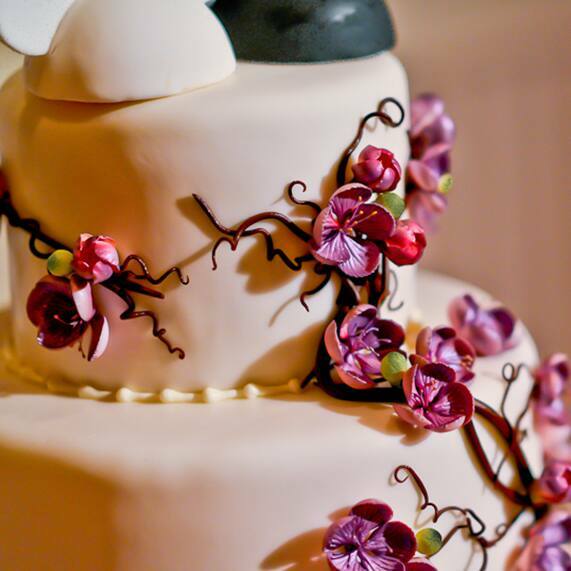 Winding purple cherry blossoms provide a sharp contrast against a simple white canvas which is topped off with matching Mickey and Minnie Mouse Ears. Can you say sweet?